Innovative film city located in Mysore Road, is a project with movie production facilities of International standards, entertainment zone, and technical expertise related to films & sound and film training institute. You are welcomed by a huge entrance building built in European - Romanian Architecture. It looks like a grand palace from the distance. 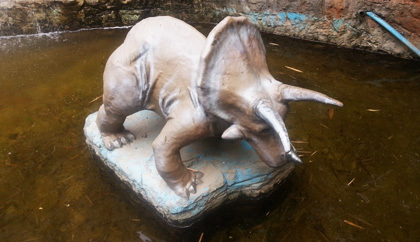 There are few water fountains infront of the Main Entrance. 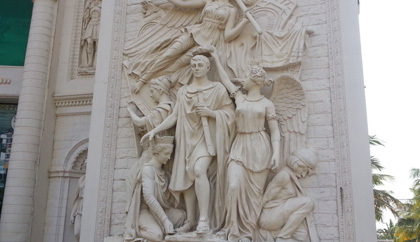 On either side of the main gate there are some beautiful, attractive European style marble statues. 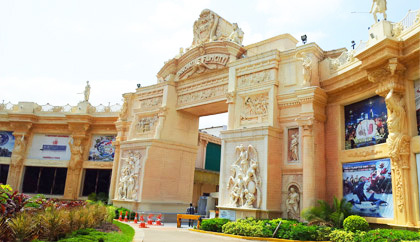 The main attractions at Innovative Film City are Cartoon City, Aqua Kingdom, Dino Park, Mini Golf, Petting Zoo, Haunted Mansion, Tribal Museum, Ripley's Believe it or Not Museum, Big Boss House, Mining, Innovative Talkies and Mirror Maze. You can book tickets online from Nearbuy at Rs. 399. These Tickets has a validity of 1 Month. There is a auto generated number against each ticket. You have to contact the front office (called Box Office) and get the voucher, against each number. This voucher covers Mining, Wax Museum, Tribal Museum, Wannado City, Aqua Kingdom, Bow and Arrow, Dino Park, Fossil Hunt, Fossil Museum, Haunted Mansion, Kids Play, Mini Golf, Mirror Maze, Talkies and Toddlers Den. 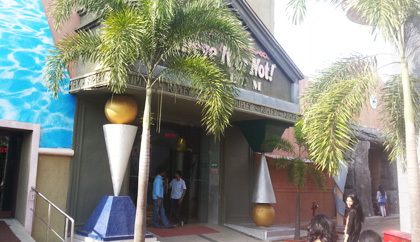 Innovative Group are the people who pioneered the concept of multiplex business in Karnataka. Apart from the multiplex business, Innovative Group has been associated with Film Production, Promotion & Distribution for the past 7 years in South India Product Promotions & Product Launches is also a major activity area for Innovative Group for a good 8 years. It is principally run by Mr. Saravana Prasad. This project aims at giving a major boost to tourism industry, film industry & entertainment industry in Karnataka. There�s so much to climb, ride and run around at Cartoon City. 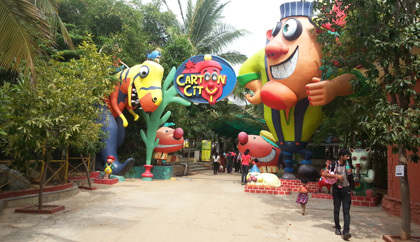 The cartoon city is filled up with lots of cartoon characters, exciting rides as well as bumpy cars, a fantastic carousel, Shark Island, a small amphitheatre & many more. 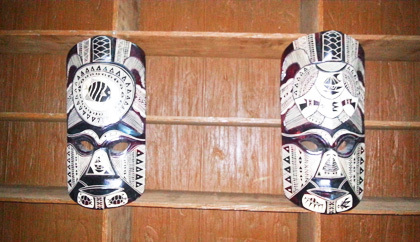 The Mirror Maze is beautifully done with red arches continuing endlessly into time due to the placement of the mirrors. There are mirrored paths, surprising corners, dead ends and continuous circles. You have to wear plastic gloves to avoid any stains on mirrors. Once inside, the only source of Light which guides to the Exit are the dim red lights around the mirrors. Stay inside as long as possible to enjoy. The more you stay inside, the more fun it is. Of course, it is a bit challenging to find the exit with those dim right lights. The funny part, you will be meeting your group people again and again. Do hold your kids hand for he may get lost and start crying. Mirror Maze manages to bring the child in you. This is one of a kind atraction for Kids. 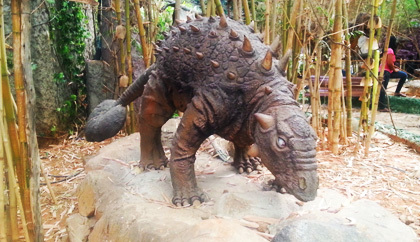 There are many models of dinosaurs displayed with their scientific names and the period they existed on Earth. 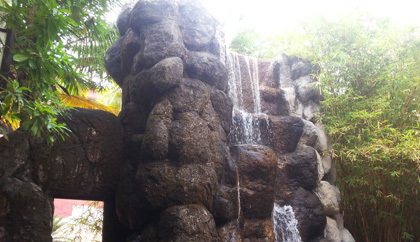 There are lot of greenery in this park with an artificial mini waterfall. 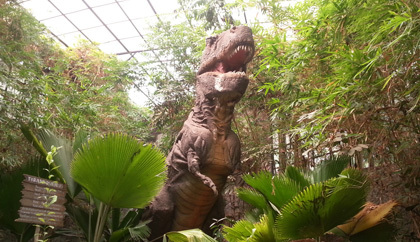 There are many life size dinosaurs including a centrally hoisted 40ft high giant skeleton of T-rex and a 60ft animatronics controlled dinosaur. 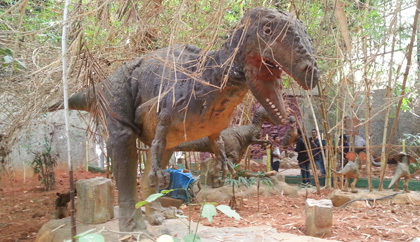 You can see the dinosaur eggs and certain other species like compsognathus, stegosauruses, velociraptors etc. 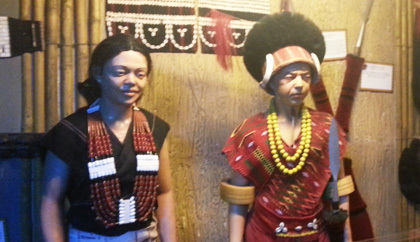 After intense research on various Indian Tribes and with the support and co-operation forwarded by TRIFED, Ministry of Tribal Affairs, Government of India, they have collected priceless and highly informative tribal exhibits and displayed the same with attractive theming at our Tribal Museum. Students can be educated about the lifestyle, costumes, traditions, beliefs, craft & performing arts of the tribes that constitute almost 10% of the total Indian population. 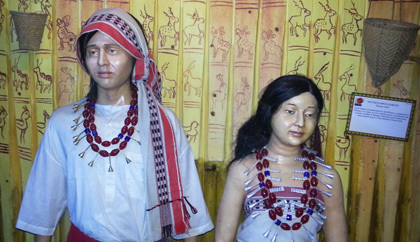 The museum captures the lifestyle of various tribes spread across India in terms of their food habits, shelter, clothes, weapons, etc. Mining is the extraction of valuable minerals or other geological materials from the earth from an ore body, lode, vein, seam, or reef, which forms the mineralized package of economic interest to the miner. The entire process of mining is very tedious and requires a lot of effort and knows how Mining in a much wider experience involves extraction of any non-renewable useful resource similar to petroleum, usual gas, and even water. 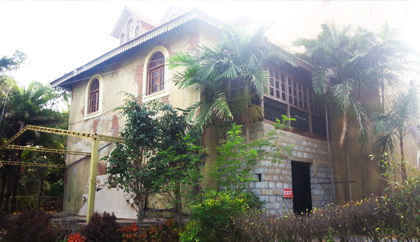 With 250 props spread over 10 rooms, this is like no other haunted house you may have seen in Bangalore. A storehouse of all things of horror things filled with horrifying skeletons, ghosts, half beard men, zombies and much more. For the fans of Star Wars (and even people who have vaguely heard of it), Nutty Darth Vader and Boba Fett greet you at the entrance - made completely of nuts & bolts! What starts with randomly assorted Believe it or not facts, slowly grows into a very interesting expedition of nature & science. You can travel through the underwater area where a host of 'shark-ing' facts come to the fore - from Megalodon shark to a metalo-maniac shark's remains. 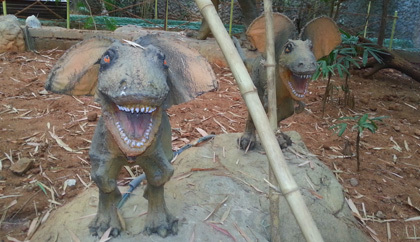 This museum is very aptly placed adjacent to the Dino Park. 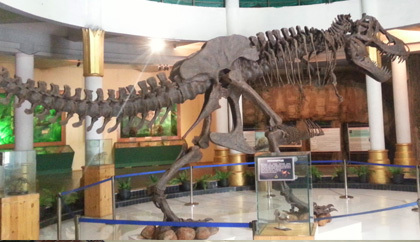 Fossil Museum has a collection of remains and relics from the prehistoric era. 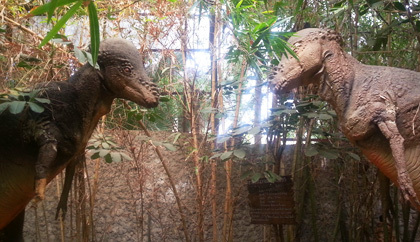 From the tiniest detail of preserving claws to having a collection of the dinosaur heads, this museum is a fascinating walk down the Jurassic era with over 219 dinosaur species fossils. There are incredible stories about the extinction of this species coupled with actual fossil remains of their skulls and other body parts which will surely give you a whole lot of information for a day will definitely carry a fascinating fact along with you! For children, it will prove to be a very informative and engaging session which may go far in making their science project. After visiting the fossil Museum some folks might be in a mood to hunt for fossils. 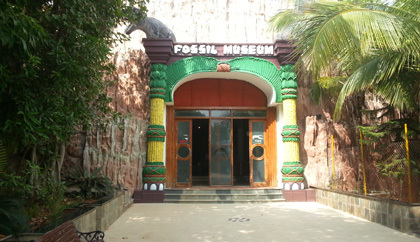 The fossil Hunt actually provides you that opportunity, unique among places to visit in Bangalore. You are provided with a spade and if you strike pay dirt, you get a gift voucher. Needless to say, kids just love messing around the place. 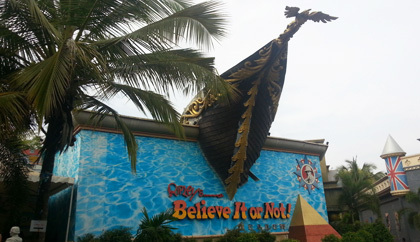 Innovative Film City has India's first and only Ripley's Believe it or not museum. 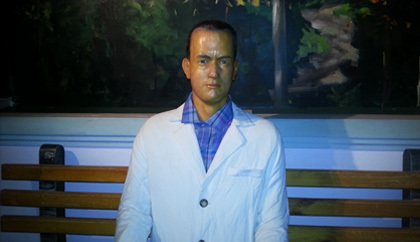 It is a repository of all the exhibits collected by Robert Ripley over his lifetime from 200 countries. It leaves you amazed at how bizarre our world is. There was a man with horn behind his head, another one who was caged in a parots cage, a sage who kept his hand raised for 20 years, another person who survived a shark attack - all amazing. 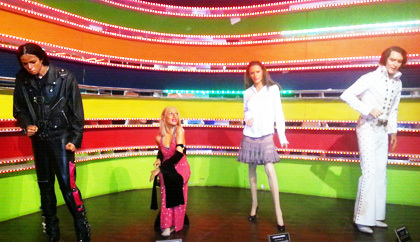 Louis Tussaud's Museum is full of life like specimens of a plethora of celebrities across the ages. While Hollywood dominates, there are some other distinct personalities like Gandhiji, Shakespeare, Dalai Lama and Einstein. 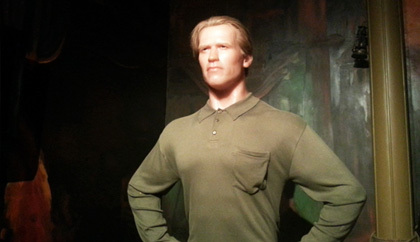 Lige size wax models of Arnold Schwarzenegger, Tom Hanks, Julia Robers, Marilyn Monroe and Angelina Jolie. Kids would love the sections on Snow-white and Dwarfs, Sleeping Beauty and Harry Porter. You can read with Shakespeare, sing with the Beatles, have a drink with Humphrey Bogart or even woo your favorite Disney Princess. 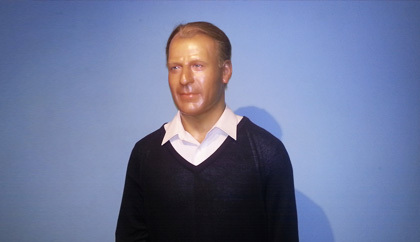 Louis Joseph Kenny Tussaud was the great-grandson of Marie Tussaud, creator of the Madame Tussauds wax museums. 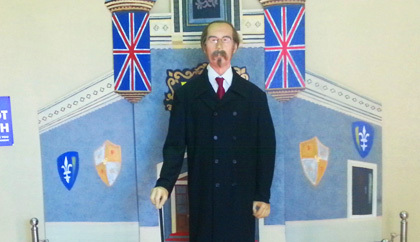 He worked at Madame Tussauds museum as a wax figure sculptor but left when his brother John Theodore Tussaud became chief artist and manager of the museum after a limited company was formed in 1888 and sold in 1889. 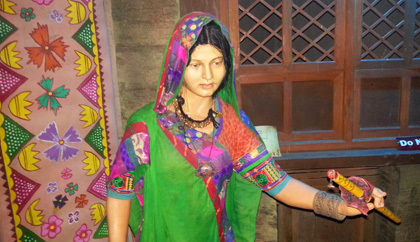 On 18th January 2017, Innovative Film City introduced first time in India - Movie Walk Through Experience. 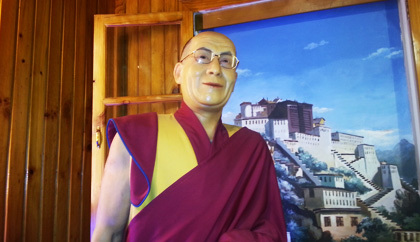 This is a walk-through attraction giving an amazing experience of the film, close to reality. 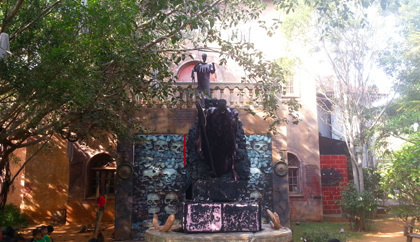 The attraction is centered around the film Rajnikanths Blockbuster movie "Kabali". 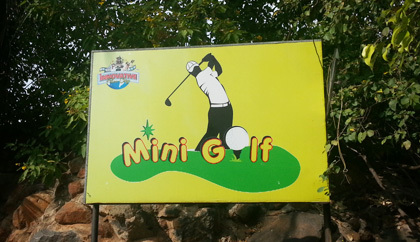 The Miniature City is another popular destination in Innovative Film City among places to visit in Bangalore. 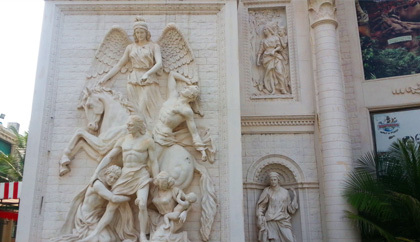 There are replicas of several wonders of the world spread across the continents. Prominent masterpieces are the Great Wall of China, Leaning Tower of Pisa, Pyramids of Egypt, Buddhist cave of Ajanta, Statue of Liberty and even the White House. The miniature Airport with Flights moving around the runway and the Amtrak train are exciting for all who are young at heart. 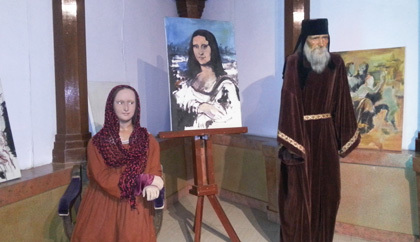 This is a really innovative concept where kids can play different roles with realistic backdrops. Some of the popular role plays are that of a Fire Fighter, a Police Man, a Dentist, a Veterinarian Doctor, a Pilot, a Judge, News Reporter, TV Anchor and even a Chef. 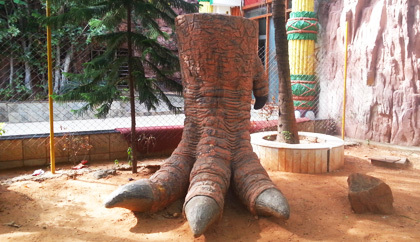 This is unique among places to visit in Bangalore. Realistic Costumes and equipment make this a big hit. My daughter put on the Inspector's uniform along with a baton and a revolver, and pushed me into the mock Jail! The news room is always buzzing with action. The technician there lets kids read out something and shoots it on camera in a realistic looking backdrop. You can do singing or dancing here. 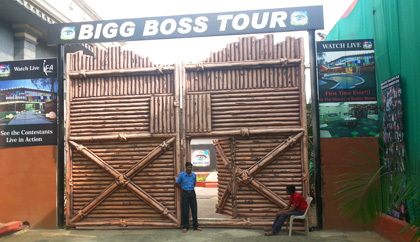 Fee for Big Boss House entry is Rs. 300. This is not part of the entry Ticket, issue at main entrance or the one you buy online. You can take pics with your favorite Big Boss participants. 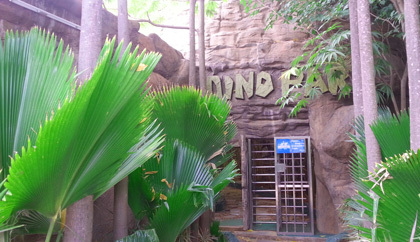 The very first 4D theatre in Bangalore city screening films such as Jungle Safari, City of Fire and Wild West with others. Its a walk-through with multiple screens running an audio-visual on history of the Earth. The most fun part is at the 4 D theater. Its an exhilarating experience watching the exploits of the protagonist lost in an ancient temple inside a volcano. The multi-sensorial experience is very memorable. 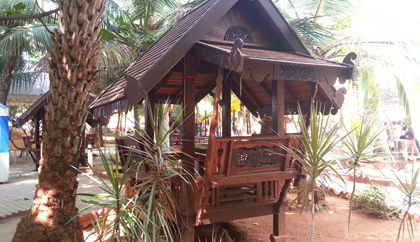 It has an artificial beach with real sand and palm trees etc. Water is not so clean. Vegetarian and Non-vegetarian food is served here. You get Fried rice, Noodles etc. Go Karting, Bungy Jumping, Zip Liner, Bull Ride, Archery, Dirt Bike and Net Cricket is available at Innovative Film City. 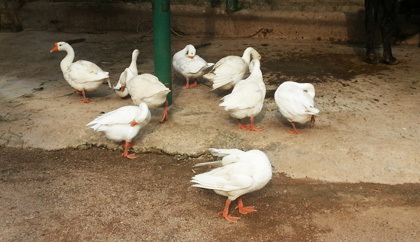 Petting Zoo is located near the exit of park. 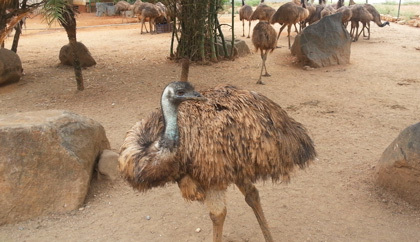 In the petting zoo children can feed and pet different domestic animals such as Emu birds, Swans, Lambs, Cows, Chickens, Turkeys, Ducks, Guinea Fowl, etc. 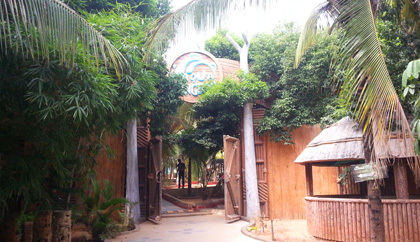 Roller Coaster at Innovative Film City is currently under maintenance. Uber cabs are not available. You can book an OLA Cab instead; 4 hours and 8 hour packages are available. Distance from Lalbagh Botanical Garden, Bengaluru to Innovative Film City, Bidadi is 35.3 km and takes around 52 min via Mysore Road. Distance from Bannerghatta Biological Park to Innovative Film City, Bidadi is 40.5 km and takes around 53 min via NH48 and NH275. 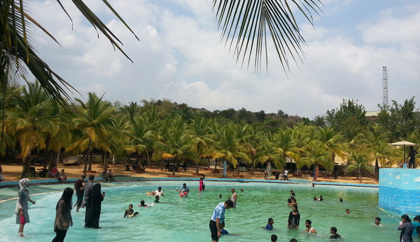 Distance from from Wonderla Amusement Park to Innovative Film City, Bidadi is 10.7 km and takes around 19 min via NH275. 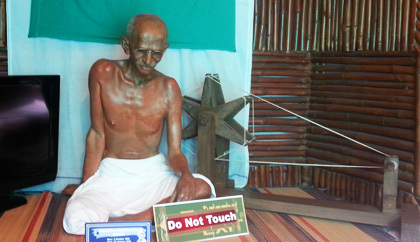 Outside meals are not permitted in Innovative Film City. But food will not be an issue inside with a number of outlets as well as varieties; Mc Donalds, Pizza Corner, Cafe Coffee Day, a food court with above 20 choices, covering all cuisines of India and other parts of the world. So do not be concerned in food things. 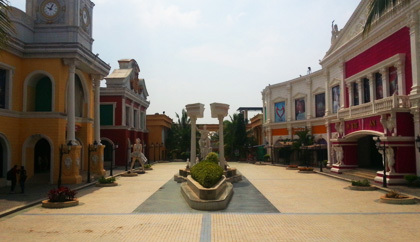 Innovative Film City timings are from 10:00AM to 7:00PM. 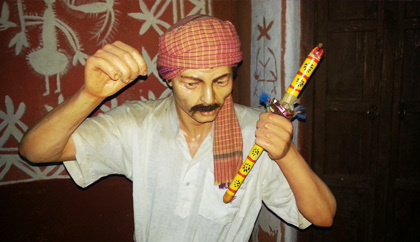 Dodda Aalada Mara, Tavarekere Hobli is around 23.7 km away from Innovative Film City and takes around 39 min via NH275. 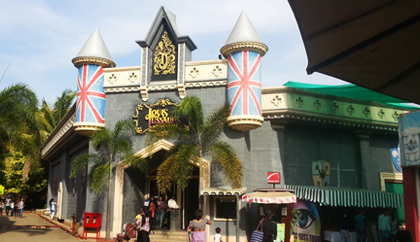 Wondera Amusement Park is around 10.7 km. But please do not combine it for a single day visit. 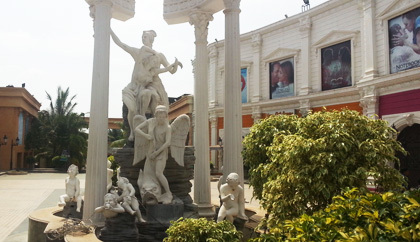 Majestic to Innovative Film City Bus Services: It is wise to visit Innovative Film City in your own vehicle. However, you can visit there by using BMTC bus. Board a bus for Bidadi from Majestic and get at the junction mentioned below. 211, 226, 231, 248 & 401 are the bus numbers. From here you will have to hire an Auto. If you do not get a direct bus to Bidadi from Majestic then you may have to Kengeri and board a bus for Bidadi. 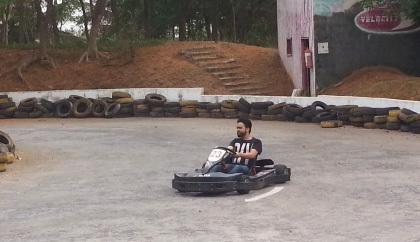 They have various packages like Rs 399 featuring some rides and options. Rs 699 includes all. Distance from Bhattarahalli Bus Stand, Hosabasavanapura, Krishnarajapura to Innovative Film City is 49.4 km and takes around 1 h 23 min via Mysore Road.